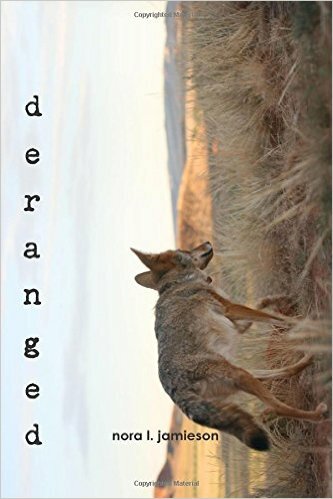 A perfect little book about three imperfect women and their life stories, Deranged is a literary gift from a talented author Nora Jamieson to us readers and more so to us women. Each one of us women comes to a point in life when something happens that triggers a transformation, spiritual, mental, physical. Whichever it is and whatever is the reason for it, it does seem like a natural process that we women go through when it is our time to reconnect with the Universe and claim our presence, our contribution and – in the end – our nothingness. The infinity of it all is, in my opinion, what unites all three stories in Nora’s book. The sadness and the determination, the strong spirit of womanhood, and the need to complete the journey before starting a new one. Ashes to ashes, so it is. But Deranged is all about life, learning from the past, carrying something valuable into the future, celebrating the moment. Deranged is also about strength of character. None of the heroines would be where we found them when we read the book if not for their ancestral inherited and practiced often manifestation of character, the vein of steel that we women must have to endure what we have to in the world before us and in the world after us. Ultimately, Deranged is about survival and the cost women pay for it. Nora Jamieson praises strong women. She also leads her readers towards self-discovery. Her heroines share intimate thoughts and feelings, and in that are tangible, real – and relatable. Also much of the writing is so good and quotable, you almost feel like it’s meant to teach, meant to guide. “…the past lives in the tissues and empty spaces, in the longing and despair, in the stories told and not told, in the shape of a nose or the calling of a soul.” What would you do in their place? Are you going through the same right now? What did you find out about yourself? What does it mean to you? All these questions and more were popping in my head as I kept on reading. Albeit with difficulty and slowly, because I often had to pause and reflect on what I’d just read. And because so much in what I was reading was describing my own inner state at the moment. I felt like I was looking in the mirror and seeing generations of women before me and after me. It is a surreal, totally out of this world experience – more so because the author connects everything into a living breathing organism, the Earth that sustains all forms of life – human, animal… The Earth speaks to us and we all need to listen. Copyright Camilla Stein ©2015. All rights reserved. This book is for folks who’ve been there, seen it, smelled it, felt it on their own skin, washed it off their hair, sat for hours without electricity – try making coffee when the entire house is unplugged! – or worse, counting goosebumps on a chilly day – because Mr. Fix-It decided to install new heaters in the middle of a winter and dragged the entire household into a messy spinoff that lasts, and lasts, and lasts. For those courageous citizens who had holes in their walls and dust falling off their ceilings, and wind singing a penetrating ode as it passed through their unpatched windows waiting for their turn to be fixed… For those brave men and women who kept standing in the middle of the room that looked like a desecrated Cold War bunker with shreds of wall paper hanging off its walls covered in smudges of mismatched paint. For those astute individuals who did not even blink when the stairs suddenly began missing a couple steps, and kept their cool when the roof went down. For those daring hearts who got lost in Home Depot but managed to find their way to salvation at the check out – and did not utter a word of disapproval at discovering numerous tools and their derivatives that Mr. Fix-It had acquired in their absence. This book is for everyone who knows what it’s like to live a life of fear that the house with its thin walls will one day succumb to the ever inventive Mr. Fix-It and his ambitions, and who find the only solace in the sense of humor that gets them through the day. If you are in the situation equal or resembling the described above instances, this book is for you – to get you through the day, unharmed. Enjoy The Hilarious Adventures Of The Home Handyman and may neither a hammer nor a nail land on your finger. A wonderful opportunity to read an amazingly touching book presented itself a little while ago. 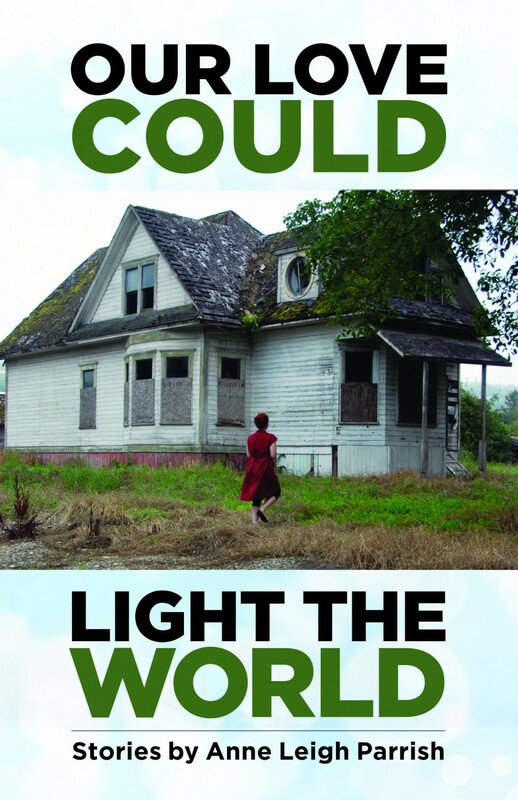 Our Love Could Light the World by Anne Leigh Parrish is by no means an ordinary novel. In fact, it’s a novel in stories, and as such is a trendy phenomenon in the book world. Each story tells about practically same events with a little personal twist, sometimes going a bit into the past, sometimes fast forwarding into the future. Stories read well, read quickly, and fascinate with their seeming simplicity – simple they are only on the surface. You can expect a breathtaking ride into the human heart. The actuality of the theme is ever so apparent – the novel revolves around a dysfunctional family that is falling apart over a mother’s career and a father’s depression, and children who need constant care and attention. These are people whose struggles many of us can recognize and relate to. Anne Leigh Parrish made it her task to explore human relationships during an unfolding crisis. We’ve been there, or we know someone who’s been there, and that’s what makes this book such a slice. It’s like reading the story about people next door. But do we really know our neighbors? And do we actually love them, humanely, sincerely, supportively, or do we want to look away when they are in trouble because we don’t want to get our hands dirty? See, this is what Our Love Could Light the World is about – the village, the community, the relationships between the people in the community, their interaction. And then Anne Leigh digs deeper. She wants to show us people’s motives, people’s inner dialogue, people’s dreams and what comes out of those dreams, a road to maturity, a road to sanity, a road to personal freedom, if such a thing exists…. If you think this is all too gloomy, think again. Anne Leigh Parrish dares you to think with her, on every page, speculating as to what kind of an ending this book will have. Heck, living and sympathizing with the characters. And thinking. Because, it could be anyone. And perhaps even yourself. Not wanting to raise a spoiler alert, I’d refrain from details of the plot any further, but suffices to say you won’t be able to put this book down until you’ve followed through to the very last letter. And you can definitely expect light in the end. A brisk legend of the film industry, Andrei Tarkovsky is also a rather secretive and in some ways understudied figure in the history of cinematography. His life story is filled with obstacles and strange encounters, runs away from one thing – towards another, and never ceasing, dashing creativity of Tarkovsky the director, amidst which Tarkovsky the person was yet to be seen. This is the image that students of Film would have of the great director. In her memoir Andrei Tarkovsky: The Collector of Dreams author Layla Alexander-Garrett brings out a very different, fresh and stunning image of Tarkovsky and how he went about his work. What reads as a mixture of intimate memories from the past and academic extrapolations of how to make a movie, is actually a recollection of how each scene from the set of The Sacrifice was made, with author’s own notes and comments with the inclusion of rare facts to the history of the film. While working with Andrei Tarkovsky as an on-set interpretor, Layla Alexander-Garrett kept a diary which became the foundation for the memoir. An interesting fact – the book was predicted by Tarkovsky not long before his tragic passing. And so in this volume the infamous Tarkovsky appears not as an icon, not as the creator of Solaris, not as a persecuted unfortunte public figure. Here, he is a soul, a living person, very much human, very much real, tangible and ever charming. Here he tells jokes and shouts at his crew, apologizes and shouts again; here he is a creative spirit, unstoppable, daring and wanting more from life, not just for himself. Five stars and a must-have in the library of every filmmaker. Contains unique photographs and testimonies. Available in the English language from Glagoslav Publications. Now, decades later, the book is in my hands again, and I am enjoying its language, its picturesque descriptions and details the author crafted out so many years ago. I cannot put the book down till I’m done with its last page. There’s just so much in it that resonates with my own perspective on things that matter. But let me first divulge why this book is a must read for seekers. Nearly a hundred years ago, David Lindsay transports three people from Earth to an alien planet far away in a distant Galaxy, near a distant star Arcturus. Pure science fiction. There’s a high-tech device in place to facilitate the maneuver, and some good thinking – respective of the time – put into the science of it all. The plot is centered around three men seeking a resolution to an incident that occurred on Earth and leads them to believe that something great, grandiose in fact, is happening behind the screen. And then it gets really corky. Maskull, the novel’s main character, is separated from his companions and travels through the alien country alone, meeting alien creatures of various kinds, including humanoid species of local population, learning things from them, teaching things to them… but mostly learning. Maskull is first embraced by the alien race of very benign and loveable nature, insightful and wise, who kill no living creature for their own use, not even plants. They live on nutritious water, and their part of land is welcoming and abundant. But then, Maskull’s journey needs to continue and he crosses into another part of this alien world. There, he is confronted with a terrible choice, and he commits incomprehensible acts. ― David Lindsay in A Voyage to Arcturus, 1920. The author clearly bases his plot on the exploration of good and evil, the eternal dualism that torments humans on Earth – and, so it appears, also on an alien planet. The eternal conflict and the necessity to choose, sometimes being in impossible situations, is according to David Lindsay the biggest problem of mankind. Seeking absolution, Maskull embraces his higher purpose, but then also has to confront his animalistic carnal nature, and in the end it’s this eternal conflict that causes him more harm than the outside elements he’s exposed to on this harsh, unfriendly part of the planet. He’s learning what it’s like to become attached to a being and ruin the other with his actions. He’s encountering the Maker and is attempting to comprehend the nature of the Universe and all in it, and he learns that things aren’t always what they seem. David Lindsay also explores a creative source instilled in humans – by way of reflection in an alien creature. Lindsay talks about narcissism that he explains in an agressive alien rite called ‘sorbing’, a way of discontinuing another being by force, ending the life of another to incorporate the victim’s life essence into their own. And then, the author throws at reader the sweetness of death, habitual, acceptable, very near, an integral part of life. A Voyage to Arcturus is a science fiction novel, riddled with mysticism and existential questions – and answers – at times deliberately confusing, but also filled with deep meaningful quotes. The novel is considered impossible to film, due to its bizarre innovative canvas, setting and descriptions that cannot be reproduced on screen. Though attempts were made some fourty years ago, and parts of this story were adapted for a short film production by William J. Holloway that managed to deliver the gist of author’s intention with this book. The novel ends with a remarkable resolution to the main character’s journey. It seems like an unhappy ending, but in truth it’s not. The conclusion the author makes is simple – there’s more to life than life itself. I may not have gotten everything out of this by far strangest of books this time, and I look forward to another twenty years to revisit A Voyage to Arcturus. There was no doubt in my mind that I would be absolutely engulfed in this book, so much that I would have to put many things aside to make room not only for reading this book, but also for processing the response it triggered in me. Author Christal Prestley took a leap of faith when she set herself up for a brief – but oh so intense – journey of her lifetime. The one that led her to discover the truth about her PTSD-striken father, and the truth about her PTSD-striken self. Priceless experiences are those that lead us through pain and discomfort towards enlightenment. To know the difference between just having fun with one’s Dad and having a special quality time with one’s father requires a certain degree of maturity and wisdom. To dare try turning a potentially negative and destructive event into a positive, self-educating and empowering one requires, undoubtedly, the rare bravery of heart. 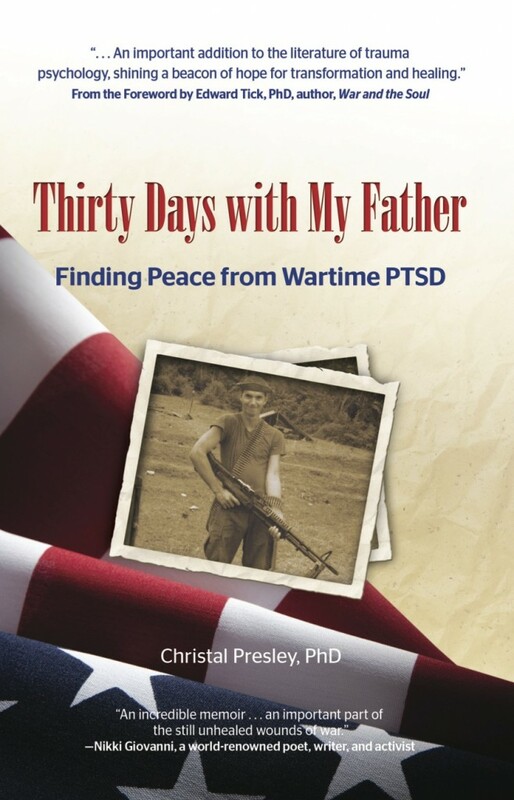 My sincere thanks to Christal for finding the courage to do so – her action and the book he wrote about it serves now as the torch of light and hope to many hurt daughters who never knew – or lost – their real fathers due to a terrible war trauma the men had to endure. I was able to relate to Christal’s story in many ways due to the similar story going on in my own life, where actual bonding with my Dad occurred much later in my adulthood, when I didn’t really need it that much anymore. But I remember when I was making that first call – after sixteen years of vacuum – and feeling scared of a rejection, scared to lose what I didn’t have. I could feel that in Thirty Days With My Father Christal Prestely felt just that. And I felt so relieved that I was not alone going through the same thing. This knowledge was important to me. Christal managed to create a guide through this uneasy process of stepping outside of one’s comfort zone and doing what felt right, what felt necessary. The road to healing starts with exploration and acknowledgment of a problem. There’s uncertainty, there’s anger, frustration, bitterness and plain simple pain, at times overwhelming – this all stands on the way to recovery, on the way to forgiveness. Will we ever be able to understand what people who gave us life went through? Maybe we won’t. Or perhaps we will come very close and will cherish every moment we had with them, because of those brief moments an entire life is built. I will never forget this book, Thirty Days, and will be coming back to it again and again. For my own healing has just began. As many stories, as many characters and as many perspectives – but not quite yet. What The Zhang Boys Know opens with a family scene, quite typical for many families, and therefore so easy to relate to, to place oneself into the shoes of the father, the children, the observers who enter into the scene, abruptly, but somehow we know – there’s a purpose, author’s intent behind this. Long sentences intermingle with short sentences, and again, very soon it becomes evident that there’s a meaning for this too. The novel reads like a stream of consciousness, internal dialogue, each new chapter – a short story, complete and self-sufficient – telling us something about each new character in the book. They’re all united, living under one roof, knowing things about each other, speculating about things when not knowing exactly… How very human. And this is the sentiment that strikes the most in this book – the feeling of humanity, our likeness, our being predictable, living within a behavioral frame, so easy to guess, yet so surprising, only because we always hope not to turn out like our neighbor, wanting to be different. And that, we are not. Human emotions, compassion, disappointment, sadness, anger, fear, lust drive the momentum of each story, make one want to turn the pages of What The Zhang Boys Know, make one want to find out what happens next. This novel is a great companion on a carefree Sunday morning, with a cup of coffee in bed, with blinds half shut, tucked into warm and soft pillows and blankets, reading through, getting to know someone else, an imaginary someone, perhaps, but only on a surface. 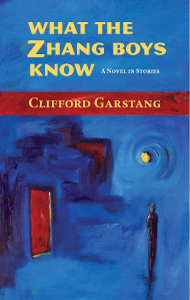 Author Clifford Garstang has done it, a very refreshing literary experience, and what a privilege to have access to the world he created.